I’ve been working on a post-apocalyptic series throughout the year, and I hope to have the first four books available in early 2019. I based this series on a novel I wrote about twenty years ago, but never submitted anywhere or tried to publish. I had always loved the characters in the novel, but not the story. This year (well, really last year), I began to rethink the story, wondering how the characters would react as society collapses and a plague sweeps the planet. That changed the story dramatically, but for the better. 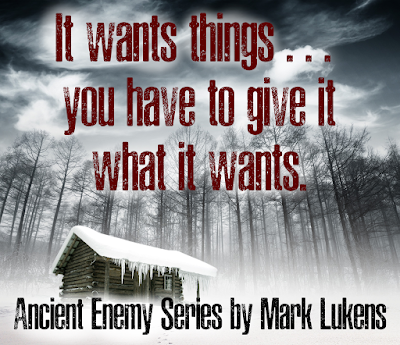 I really love working on this series, and although I have set it aside to finish the fourth (and last) book in my Ancient Enemy series, and to complete the second book in The Exorcist’s Apprentice series, I can’t wait to get back to it. And hopefully I’ll have that second book in The Exorcist’s Apprentice series available somewhere around February or March. 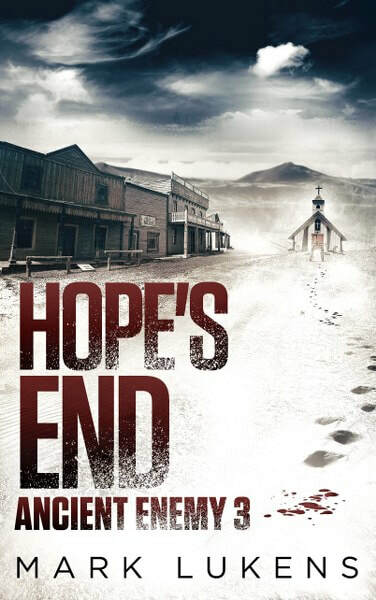 I’m working right now on the fifth and sixth book in the post-apocalyptic series, and I’ve got two standalone thrillers that I want to write. Hopefully 2019 will be a very busy publishing year for me. I’ve also got another series I want to start working on soon; it’s about a woman who is a consultant to the FBI, but she’s no ordinary consultant . . . that’s all I’ll say for now. CAN YOU TELL US A LITTLE BIT ABOUT THE CHARACTERS FROM ANCIENT ENEMY – WHAT MAKE THEM TICK? I really like Stella, the main character throughout the series. I think she’s a strong woman, but also compassionate. When she meets David, the young Navajo boy, and she realizes that something terrible is after him, she doesn’t hesitate to protect him. I think Cole, the other main character, is really a good guy at heart even though he’s just robbed a bank with Frank’s crew. But as we find out later, he was only there to help his younger brother (Trevor) pay off a debt to Frank. Of course things don’t go as planned. The bank robbery is botched and they are forced to flee into a snowstorm, carjacking Stella and David for a ride on a lonely mountain road. David is more of a mystery in the first two books, but we find out so much more about him in books three and four. I also loved how the characters of Begay and Palmer developed throughout the second book, and I loved revisiting them in the last book. 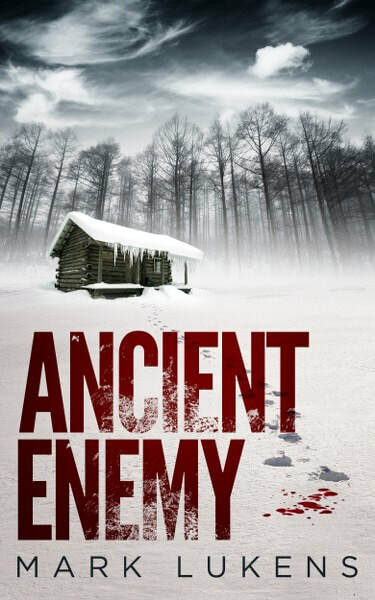 HOW DID YOU COME UP WITH THE TITLE OF YOUR BOOK ANCIENT ENEMY? When Ancient Enemy was a screenplay, I had a few different titles for it at first. I wasn’t ever truly satisfied with the titles, and later on during a rewrite of the script, I knew I needed a new title. 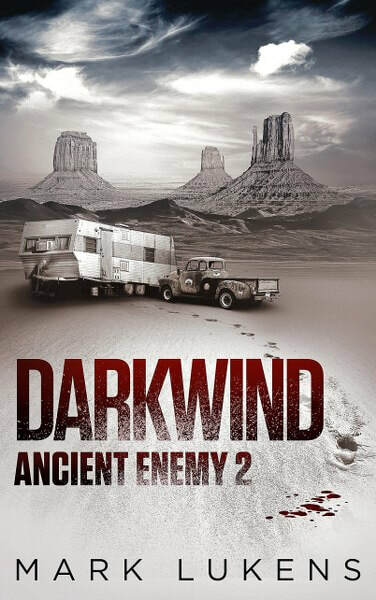 Ancient Enemy deals in part with the disappearance of the Anasazi, a people who lived in the southwestern area of the United States hundreds of years ago. They had built massive cities in those areas, and then, much like the Maya, they seemed to have walked away from those cities, seeming to vanish. The name Anasazi comes from Navajo, and it is usually translated as the Ancient Ones, but a more correct translation would be Ancient Enemy. I always found that fascinating. Were the Anasazi the enemy of the Navajo? Or could it mean that an ancient enemy wiped out that group of people, or drove them away from their cities—some of those cities were built right into the sides of rock cliffs. Titles can be either easy or difficult for me. Some titles come to me right away. Other times I struggle with a title right up until the end of writing the book. 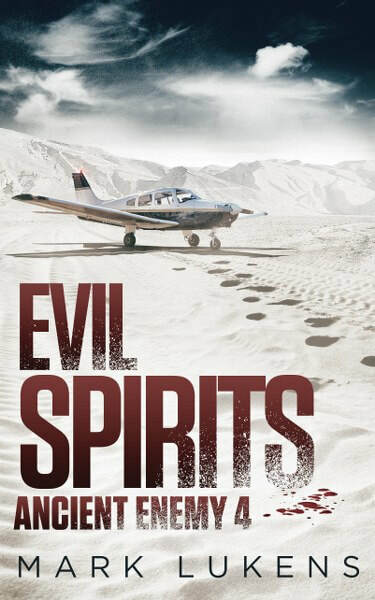 Some of the titles of my books that came easily and right away were: Followed, Sightings, Ghost Town, The Exorcist’s Apprentice, The Darwin Effect, The Vampire Game, Night Terrors, and Devil’s Island. Others, like the above mentioned Ancient Enemy (and the rest of the series), I had a little more trouble with, including my short story collections, What Lies Below, The Summoning, and Descendants of Magic. Half of my book covers were designed by Damonza.com (including the Ancient Enemy series). They do a great job and I highly recommend them. The other covers were pre-designed covers. I bought the artwork and did any enhancements and the lettering myself. I think all good stories are mysteries. We read all stories, no matter what the genre is, to find answers to mysteries or questions. Will the hero survive? Will the main characters fall in love? Will they save the world? Will her mother discover the secret she’s been hiding? I think a good story sets the reader up with questions that need to be answered and mysteries that need to be solved, compelling them to keep reading. This is my writing process, but it could be very different with other authors. For me, it all starts with the idea. An idea will pop into my head and begin to form there, just the glimpse of a story at that moment. Where do ideas come from? That’s hard to say. They can come from a TV show I’m watching, or something I’m reading, or something I see while driving, from dreams (or nightmares), or sometimes they just seem to pop into my mind fully-formed. I don’t like to act on an idea right away, I like to let it kind of grow a little in my mind until it gets too big to ignore. I’ll jot down some notes about it, maybe a page or two, not really an outline or even a synopsis yet, just the bare essence of the story that’s forming. If I’m still excited about the idea, then I’ll begin to outline it. My outlines can run anywhere from five to twelve pages. Sometimes they start out simple and grow more complex as I work on them. In my outlines, I just hit the major beats of the story: the beginning or setup, the introduction of the main characters, an inciting incident(s), the characters working towards goals or away from dangers, twists and turns, the ending, and then an epilogue if there is one. I like to have an outline because it helps me write the first draft faster, and it gives me a rough framework, a trail through the woods to go by. But that doesn’t mean that my outlines are set in stone, and twists and turns, characters, and scenes can all change as I write the first draft. There is something magical that happens when you begin writing, the story just seems to unfold and sometimes it moves in a different direction on its own, and ideas kind of pop into your mind as you write. Even though my outline isn’t set in stone, I still like to have a pretty good idea of the beginning, middle, and end of my story. I know there are writers who can just start writing and see where the story takes them. I wish I could write like that, but I can’t. I’ve written myself into too many corners in the past. So I think my writing is a combination of the two: an outline and seeing where the story takes me. I like to try to get through the first draft as quickly as possible. I usually try to write my first drafts by hand on notebook paper or in spiral notebooks, but often, about halfway through, I’ll begin typing the first draft as I finish it. After the first draft is done, I like to set the project aside for a while, usually a few weeks, and work on something else. Then I can come back to the first draft with fresh eyes, and look at some of the things objectively. I’ll find some things in the draft that I loved and I’ll find things I don’t love. So, for me, taking a break between the first and second draft helps a lot. Now the real work begins: Editing, revising, rereading, writing the next drafts, whatever you want to call it. 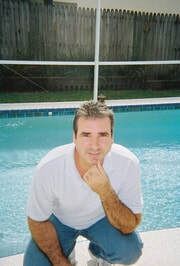 I’ll usually go over my book at least five to ten times, re-reading and editing, tweaking here and there. When I get to the point that I’m reading it through without changing too much, then I know I’m almost ready. It’s at this point I like to send the book off to any editors I’m working with and beta readers. I like to have the manuscript as close to publishable at that point. I get their feedback, make any necessary changes, read through it once more, and then I’m ready to publish. And then it’s on to the next book. Looks pretty scary to me. I love the covers and how they are similar. The books sound amazing! A great set of covers! Looks like a scary read. Very intresting. ooo i can't wait to read this! The cover is interesting -- a little spooky. This sounds like a good series to win. This series sound so good. The book cover is wonderful with the icicles and the haunted looking trees in the background. the lore within the pages.I love a horror story! Nice book cover, and the book sounds interesting. These look like a great series! I've actually visited the Anasazi ruins in Mesa Verdi Park. looks and sounds scary ! can't wait to read it.